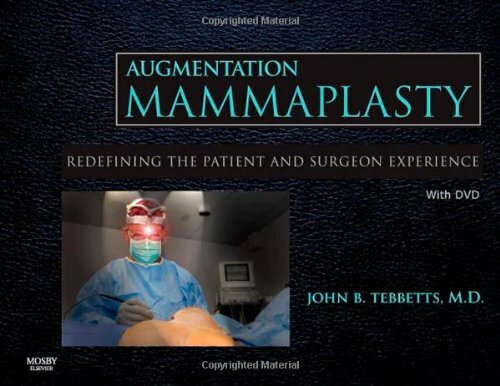 John B. Tebbetts, MD, a pioneer in the field of breast augmentation, redefines the surgeon/patient experience in this comprehensive book. By exhaustively covering everything you need to know about breast augmentation, Dr. Tebbets allows for tightly focused guidance that is principle- rather than experienced-based, with numerous decision-making algorithms and outcome-based techniques, not just one-answer solutions. The book addresses topics that range from anesthesia and case studies of specific implants to practical matters like practice management. The included DVD is just as broad-based in its approach, containing not just dynamic video clips, but detailed operative scripts, the High FiveTM assessment and decision support system for implant selection and operative planning and the Patient education system for 24 hour recovery.